NHPC Recruitment 2018 2019 | NHPC invites Application for the post of Various Electrician, Lineman/Wireman, Power Electrician, Fitter, Machinist, Instrument Mechanic, Mechanic (Motor Vehicle) Posts. 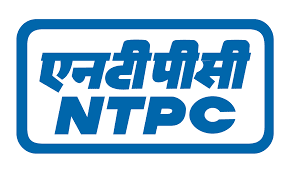 NHPC Trade Apprentices Jobs Notification 2018 Released. Candidates are requested to Download Application through Official website www.nhpcindia.com. Opening Date and time for Submission of Application is 10.10.2018 and end up by 10.11.2018. You can check here NHPC Recruitment Eligibility Criteria, Pay Scale, Application Fee/Exam Fee, NHPC Selection Process, How to Apply, NHPC Syllabus, NHPC Question Paper, NHPC Admit Date Release Date, NHPC Exam Date, NHPC Result Release Date & other rules are given below… Aspirants are requested to go through the latest NHPC job recruitment 2018 fully, before applying to this job. As per the recent NHPC notification 2018, the eligibility details like Educational Qualification & Age Limit for the Trade Apprentices job has given below. 1. The applicant should have passed 10th Class under 10 + 2 system of education or its equivalent. 2. The applicant should have passed ITI examination from the recognized institution in the respective trade as per Apprentice Act, 1961. How to apply NHPC Trade Apprentices Vacancy? Step 7: The duly filled-in application form in the prescribed format neatly typed in double space on A4 size paper should reach to Manager (HR), Loktak Power Station, Kom Keirap, P. O. Loktak, Manipur - 795 124 before closing of office hours (4:30 PM) on 10.11.2018 through India Post only. The application received after closing date will not be entertained. The applications received after the office closing hours of the last date of submission will not be entertained. If the closing date happens to be a holiday the next working day will be the closing date. Queries, if any, may be addressed to the mail id: tnhrdloktak@gmail.com.